In our times of advanced information and communication technologies and tools, we are used to employing computers and smartphones in order to have access to information. Thus, our style of writing is also affected by this phenomenon. For example, there is plenty of information on the internet. People read dozens of articles or blog postings every day (unless their job doesn’t deal with computers), so articles seem less and less interesting when they are long. People read only a small part of them as to catch the most important details. You are probably also part of this “computer-generation”, for whom handwriting is almost unknown, or seems to be rare experience. Ideas today are exposed in very short sentences, without additional clarifications. As a result, writing a college level thesis has become a difficult task, which appears much harder than writing a blog posting. Therefore, you will need some additional hints to know more about how to write a college level thesis. How should we define the word “thesis”? Thesis is an assertion which confirms that something is, and ascribes some properties to it. Thus, a thesis tells us not only what the thing X is, but also how it operates, how it interacts, under what circumstances, etc. In contrast with theses, opinions are strictly personal convictions which may be unjustified. Opinions can become theses only when tested experientially. It is widespread today that people express only opinions, instead of theses. This can be found on the internet - on the forums, on the social networks, and so forth. This is so because the thesis needs strong arguments in its favor; such an argumentation would get the internet user bored. Hence, it is easier to merely manifest your opinion, instead of searching for arguments supporting it. A thesis tells us not only what the thing X is, but also how it operates, how it interacts, under what circumstances, etc. Your paper needs a good introduction. When you have introduced the reader to the context of the problem, it will be easier for you to set forth your thesis clearly and precisely. 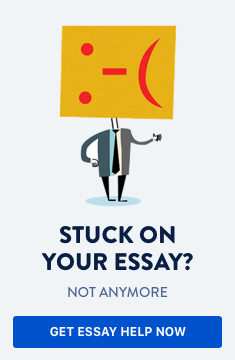 Never expose your thesis in the first paragraph of the essay! Your thesis should consist of well-ordered words at academic level. Do not employ mundane language; you need to demonstrate that the academic language is part of your way of expressing your thoughts. Advice: to employ specific terms does not mean to use terms whose meaning is unknown to you. When you are not familiar with a word, do not use it at all! The good, readable thesis should not exceed five or six sentences. Otherwise, it will look more like a summary of your arguments than as a thesis statement. We recommend you to write a three or four-sentence long thesis, if the sentences are short (one line); if they are long (more than one line), two or three sentences will work perfectly. The thesis should be formulated in a positive manner. Thus, you need to confirm that the fact A is true, and not to negate its veracity. Negation is part of your arguments; it could be employed in the discussion part of the essay as well. If, for instance, you would like to prove that the theory Y is true, you cannot write in your thesis statement that the theory Z is false. The latter could be only an implication following the veracity of your thesis. As you see from all mentioned above, you should be careful while working on your thesis. There are a lot of logical and formal mistakes which should be taken into consideration. Also, pay attention to the aesthetical form of your thesis statement as to make it more “readable” even by non-professionals.